I thought that it was only appropriate to post something on this momentus occasion. Would give the wedding much more cred if Prince Willy rode off into the sunset with Kate on the back of a Triumph, much like the guy in this clip. Today I had some spare time to finish off the detailing and put a coat of clear over the paint. I was going to add some red to highlight some of the blood but decided to keep it black and white. Pretty happy with how it turned out. It's for sale if anyone is interested (for display purposes only) shoot me a message. Earlier this year I picked up a Harley Skull Cap for cheap. My intention was to give it a paint after all it didn't have the Australian Sticker on the back plus I don't like wearing second hand helmets. I managed to find a spare couple of hours over the easter break to get a start on my "BRAIN BUCKET" Zombie themed helmet after getting inspired by the english TV series Dead Set. Here's the WIP so far, have laid out most of the white base outline, and now just coming in with some transparent black to sharpen the edges and start adding some detail. Still not sure whether I'm going to add color to this as I'm starting to like just the plain black n white. Old school comic feel. I can't take credit for the original artwork entirely as I had found a couple of nice zombi pics on the interweb that I've used as reference. 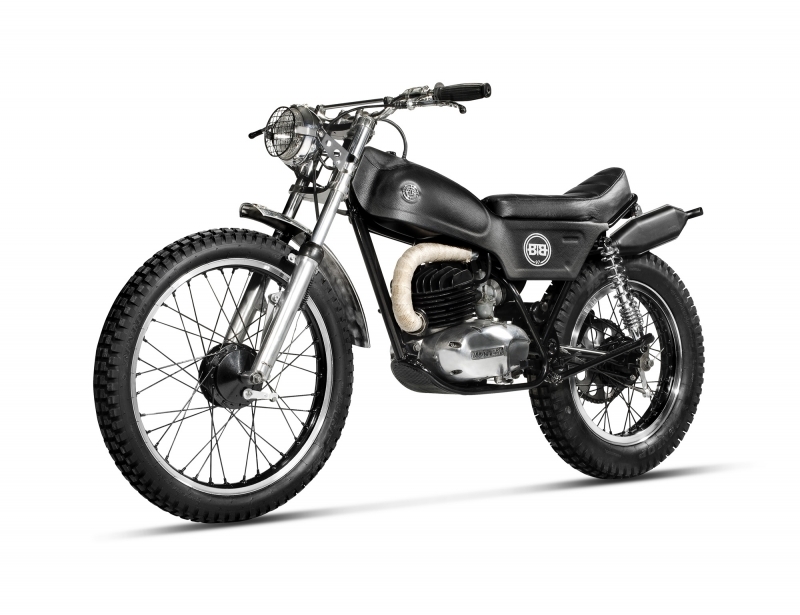 This little gem is based on a vintage Montesa motorcycle and was built by Studio RAAR in collaboration with Buddha to Buddha. Blacked out bikes are fairly common these days but it was something about this all black affair that really caught my attention. 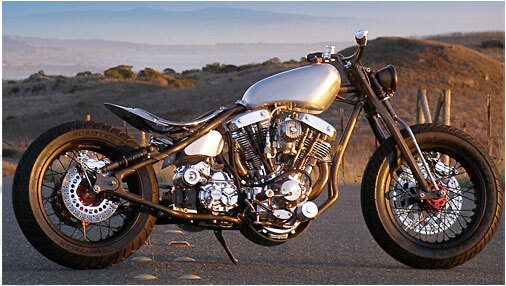 Quite possibly due to the subtle finish of the leather tank, seat and side panels, and the under-seat styled exhaust. Had a piece of old leather laying around in the garage so decided make the switch a keyring. Used a tattoo gun to sketch it in. The leather was hard work to mark as it was really dry. Will try a softer piece next time. 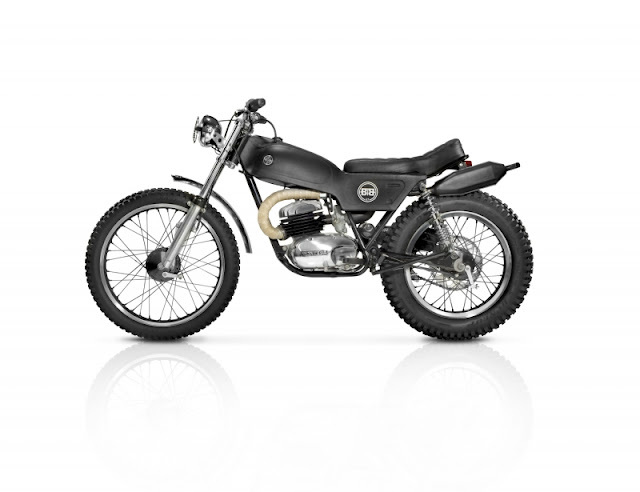 Stumbled across some nice videos featuring the Kott Motorcycles Shop. 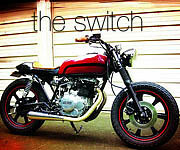 Dustin Kott (the owner) talks through his design process and inspiration on a couple of his Honda Cafe projects. It's a 3 Episode series and they're quite lengthy so if you've got spare time during lunch, or you work for government department then it's worth a watch. 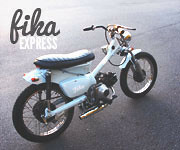 ep.1 / Kott Motorcycles from classic honda bb on Vimeo. 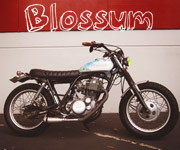 ep.2 / Kott Motorcycles / cb400four supersport from classic honda bb on Vimeo. ep.3 / Kott Motorcycles - "how to build a cafe seat" p.1 from classic honda bb on Vimeo. 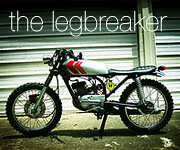 ep.3 / Kott Motorcycles - "how to build a cafe seat" p.2 from classic honda bb on Vimeo. 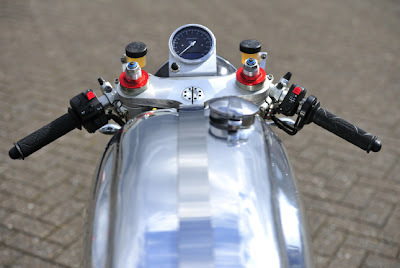 ep.3 / Kott Motorcycles - "how to build a cafe seat" p.3 from classic honda bb on Vimeo. Found this fantastic example of a modern cafe racer while looking over at sideblog. Built by Taimoshan Cycle Works, a Custom Motorcycle Shop in Cardiff, this Super Cafe Racer houses an Aprilia RSV V-Twin water cooled engine into an open tubed frame. 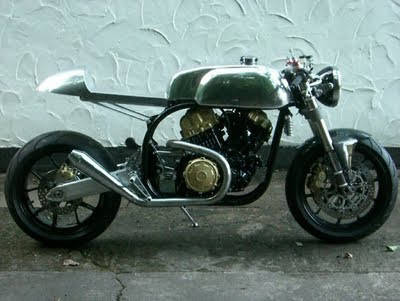 I could only imagine the time and thought taken to create something like this, especially since fuel injection, modern brakes, electric ignition, a full engine computer management system all have been included in the build. 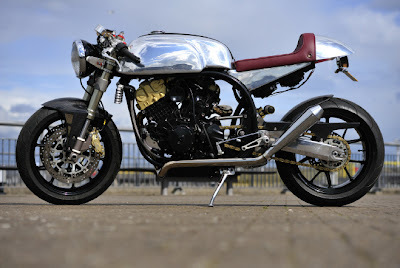 Yet looking with an untrained eye, it looks like a 1960's elegant cafe racer, not something that would smoke the competition if taken to a track. Any signs of these modern luxuries are hidden beautifully along with the enormous wiring harness required to run the componentry. You can view more of the bike here along with the parts required for the build. Tonight Team Moto Virginia will be hosting the Triumph Tiger 800 Launch. 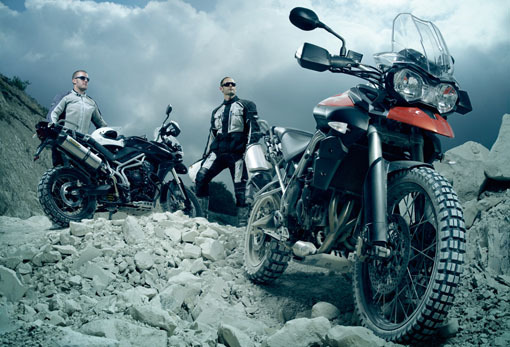 The Tiger is new for 2011 and fits into the Adventure Genre. 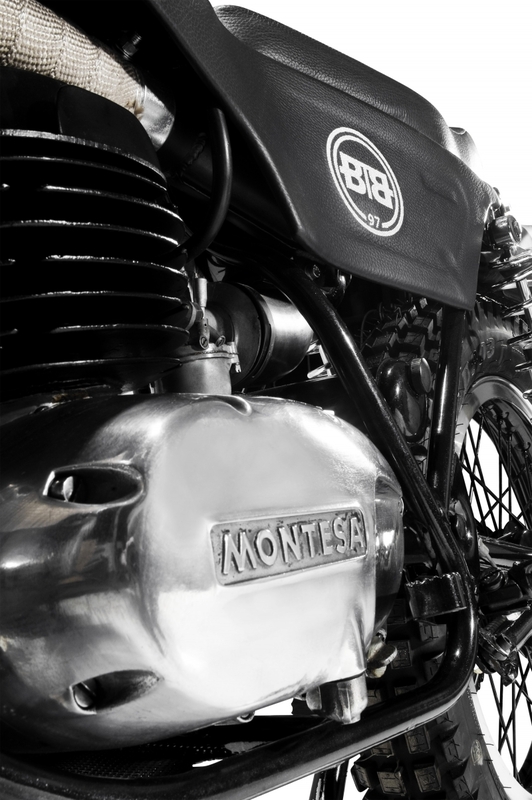 From the Australian Triumph website. "New for 2011. Tough. Rugged. Built to last. Loves the open road, devours the rough stuff. The one bike that can do it all, Tiger 800 XC sets new standards in the adventure bike sector. 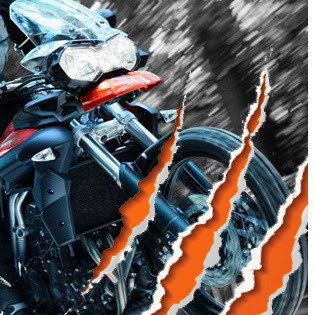 With its big wheels and long suspension travel, the Tiger 800 XC just loves getting its claws dirty." It starts at 6.30 and from what I've heard they'll be serving Tiger Prawns and Tiger Beer so it might be worth the trip if you can make it. I wonder if Tiger Woods and his posse of ladies will make an appearance? Vans, Utility Board Supply and Motorcycle Custom Shop 4Q Conditioning Team up to create the SK8 - Mid Limited. 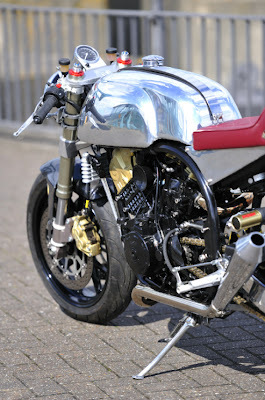 I saw an image of this bike over at Bubble Visor so I did me some googling and found that it was also featured over at bikeexif. 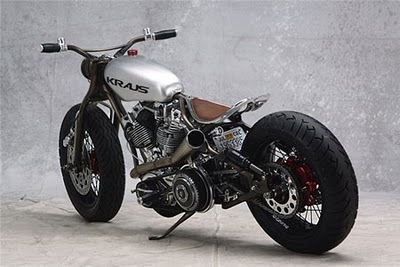 It was built by a shop called Kraus Motor Co, who are based in Northern California and specialise in custom fabrication with a focus on the merge between innovative approaches and old school designs. 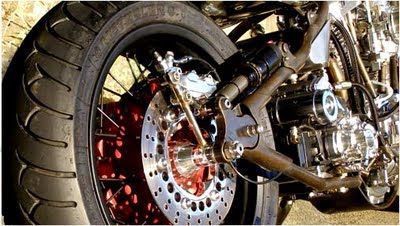 An amazing piece of machinery, it's as though that the rest of the bikes elements play second fiddle around the engine. The Harley engine is like the CBD, the hub, and the heart, with the tank and the seat organically moulding around it.